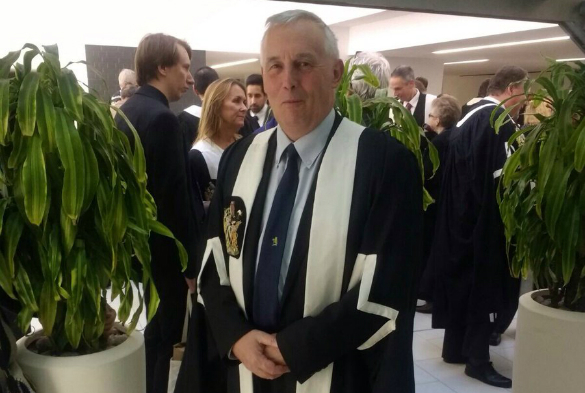 Professor Chris Dowrick has been awarded the 2017 George Abercrombie Award for ‘special meritorious literary work in general practice’ by the Royal College of General Practitioners (RCGP). The award, named after the first Chairman of the RCGP Council, is one of the College’s highest awards and is given to a person who has made an outstanding contribution to the literature of general practice. Chris is a Professor of Primary Medical Care at the University’s Institute of Psychology, Health and Society and a member of the Mental Health in Context Group, which conducts research aimed at improving the mental health and wellbeing of individuals and communities. In addition to his university work he is a general practitioner with Aintree Park Group Practice, a Professorial Research Fellow at the University of Melbourne and Chair of the World Organisation of Family Doctors’ working party for mental health. Fabulous award, Chris, congratulations and great for Liverpool.